Argenco 60 is a Yellow High Noble alloy for all crown and bridge restorations. Its gold color provides excellent esthetics and it polishes to a beautiful high luster. Argenco 60 is strong enough for implant bar construction and perfect for adjustable, removable restorations. Argenco Y+ is the most economical yellow crown and bridge alloy on the market today. 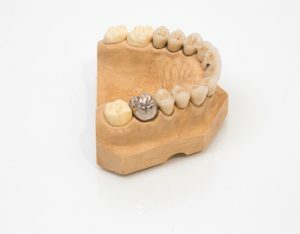 The Noble alloy is suitable for full-cast crowns and short-span bridges and easily polishes to a high luster. Argenco Y+ brings you all the qualities you enjoy in a yellow alloy at a fraction of the cost. Contact us if you want to learn more about full-cast gold fixed prosthetics or check whether it’s the right material for your patient.